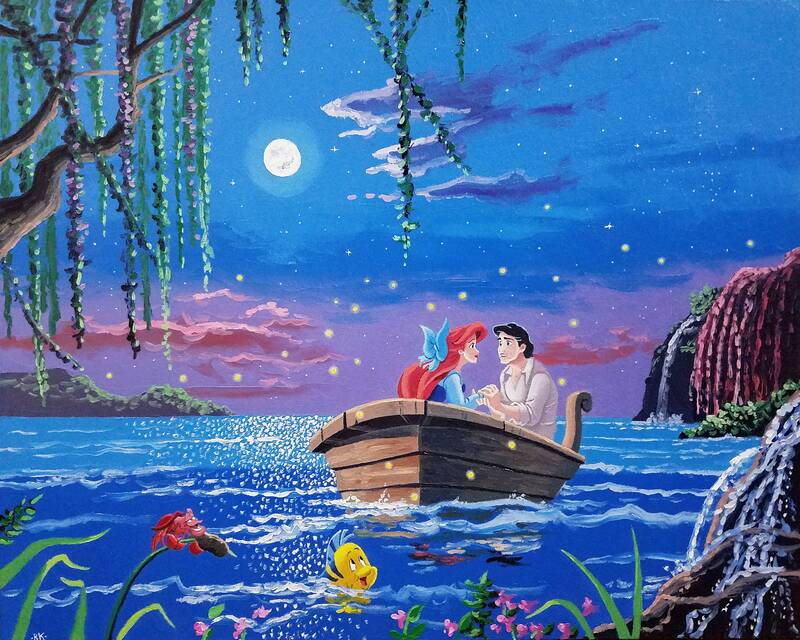 Romance and magic are in the air as Ariel and Eric enjoy a nice boat ride under the moon. That clever Sebastian sings from a reed in the foreground as the beautiful willow fronds hang down above the water. The sparkles in the ocean, the fireflies forming a heart, and the calming waterfalls all add to the love and desire in Ariel's heart. As she becomes part of that world above!